Thrombocytopenia can be caused by a number of different conditions including leukemia. It can also be brought on as a result of alcohol abuse, cancer treatments, sepsis, and certain medications. Talk to your doctor if you think that one of your prescribed medications may be causing you to have symptoms of thrombocytopenia. 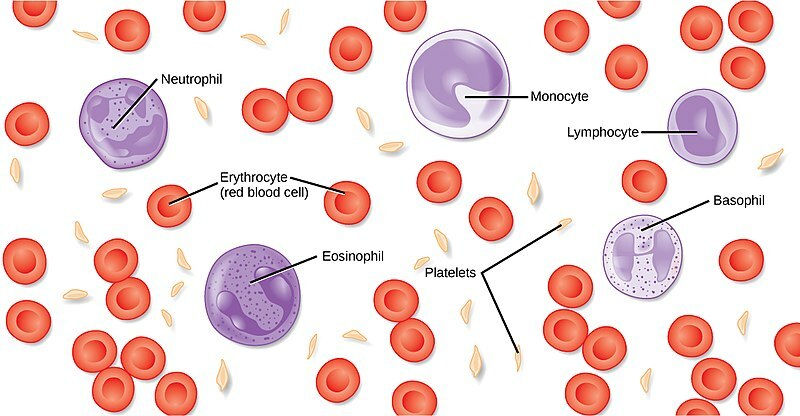 Platelets are found in the blood. In most cases, you can help to raise your platelet count by taking daily supplements or small changes to your diet. This is primarily what home remedies for thrombocytopenia focus on. Some of the best home remedies for this, and for the symptoms of thrombocytopenia, are listed below. 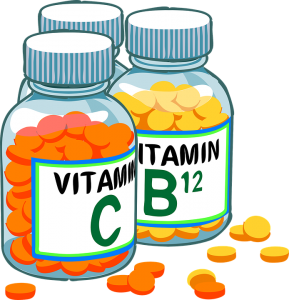 Vitamin B12 is key to keeping your blood cells healthy and a B12 deficiency is often linked to cases of low platelet counts. That makes taking a daily B12 supplement or including more foods containing B12 into your diet works as a great home remedy for thrombocytopenia. The vitamin occurs naturally in a number of food sources, including beef liver, clams, and eggs. Folate also helps your blood cells and appears naturally in many foods. It can also be taken as a supplement or added into your diet in the form of folic acid. Good sources of folate include peanuts, kidney beans, and oranges. Iron is another essential mineral that your body needs to produce healthy blood cells. A study from 2012 study found that iron increased platelet counts in people who suffered from iron deficiencies. You can increase your iron intake by eating more foods like mussels, lentils, red meat, and pumpkin seeds. Vitamin C also helps your platelets group together so that they function efficiently. It also helps your body absorb iron which, in turn, helps to increase your platelet count. You can take a daily vitamin C supplement or increase your daily intake of fruits like mangoes, pineapple, broccoli, tomatoes, and bell peppers. Both the papaya fruit and its leaves can help to increase your platelet count which will combat your thrombocytopenia. You can consume ripe papaya or drink juice made from its leaves every day to help restore your platelet levels. Pumpkins are packed full of helpful proteins that help to produce more platelets. It’s also rich in Vitamin A which further assists in the production of platelets. 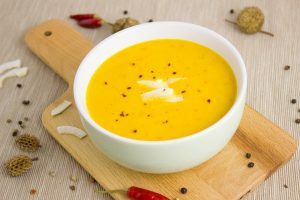 Pumpkin soup is a great low-calorie food to try. Lemon juice is a rich source of vitamin C which is well-known for helping to improve your platelet count. Drinking homemade lemonade (with not much sugar) is one of the easiest ways to add more lemon juice to your diet. Amla, also known as the Indian Gooseberry, is another potent source of vitamin C and so offers the same benefits as lemon juice. In addition, amla has strong antioxidant properties which can help to fight off a number of infections and other health issues responsible for decreasing your platelet count. Beetroot also has similar antioxidant properties to amla, meaning it can also prevent damage by free-radicals. As a result, drinking a glass of beetroot juice each day can help to raise your platelet count. Studies have found that wheatgrass juice can help to increase the platelets in your blood. This is because the chlorophyll in wheatgrass has a similar molecular structure to hemoglobin. 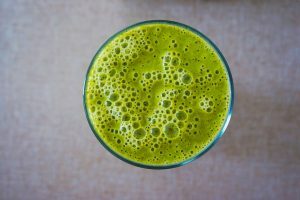 Drinking half a cup of wheatgrass each day should be enough to boost your platelet count, you can add a little lemon juice for extra effectiveness. Wheatgrass juice may not be the tastiest treat but it gets the job done. Aloe vera is known to help purify your blood and is also proven to help prevent blood infections. As such, it helps to increase your platelet count. This makes a daily glass of aloe vera juice a great home remedy for thrombocytopenia. Spinach is a rich source of vitamin K which we’ve previously discussed as a great home remedy for thrombocytopenia. The vitamin content in the spinach helps to prevent excessive blood loss and also improves your platelet count. Ideally, you should limit your intake of alcohol, or even cut it out of your lifestyle completely. This is because alcohol slows down platelet production. If you have been diagnosed with thrombocytopenia you should ask your doctor about whether it’s safe for you to drink alcohol and in what amount. 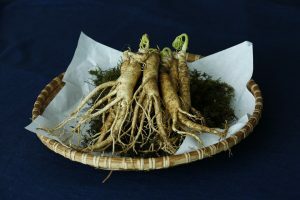 Ginseng is another useful home remedy for thrombocytopenia. It is most effective when used in combination with other herbal remedies and more research is needed into the effectiveness of ginseng alone. Ginseng root works best for this home remedy. Although research into the effectiveness is limited, it does suggest that licorice works as an effective home remedy for thrombocytopenia. Note, that this home remedy for thrombocytopenia is talking about natural licorice, or licorice root, not the candy. Fresh cow’s milk is a great source of calcium which most of us know will help our bone strengthen. But did you know it could also help your body regenerate platelets? Not only that, but fresh milk also contains high quantities of vitamin K which is needed to support proper blood clotting. Carrots are a widely popular vegetable and can be eaten as a tasty and healthy home remedy for thrombocytopenia. Eating a portion of carrots each day could help to maintain a healthy platelet count and so counteract the symptoms and progression of thrombocytopenia. 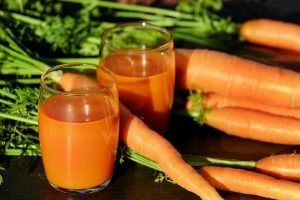 If you don’t like to crunch on carrots, try drinking carrot juice instead. Raisins have a very high content of iron which helps to strengthen your body and increase your platelet count. You can eat them with yogurt or on their own, either option makes a great home remedy for thrombocytopenia and forms a great, healthy snack. Pomegranate fruits can help to give you a boost of energy and increase your platelet count! They’re packed full of nutrients and vitamins which make them a great snack choice. 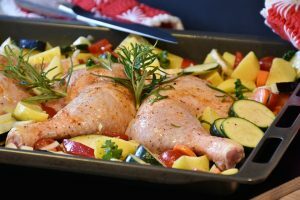 Lean meats like fish, chicken, and turkey are a rich protein source. They’re also rich in zinc and vitamin B12. All of these elements add up to increase your platelet count. Most types of beans are rich in vitamin B9 and folate, which are needed to help increase your platelet count. 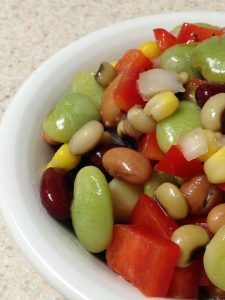 Try to include more beans and other legumes into your diet if you’re trying to raise your platelet count. Most beans will work for this home remedy. Garlic has the ability to act as a blood purifier which can help tackle a number of blood disorders. It also helps to naturally raise your platelet count. Adding a little extra garlic to your meals, or taking a daily garlic tablet should help to manage your thrombocytopenia. Ashwagandha, also known as Indian ginseng, is an adaptogen. This means it helps your body re-train itself to perform better and be healthier. Taking a daily dose of ashwagandha will also help to boost your platelet count, making it a great home remedy for thrombocytopenia. A monthly dose of phosphorus is thought to have a strong effect on your platelet count. In fact, phosphorus is one of the most prevalent minerals in the human body, so by increasing your phosphorus levels, your body is supported in the production of new tissues and blood cells – including platelet cells! Cortisone can help to increase your platelet count in just a matter of weeks or months. This makes it an extremely effective home remedy for thrombocytopenia. Plus, it’s usually easy to purchase in stores. A lack of exercise can lead to cause your platelet level to drop as it can cause your body to start shutting down. This can leave you feeling fatigued and despondent, which will make you feel even less motivated to exercise. This creates a dangerous cycle so it’s important to maintain a regularly active lifestyle. Stress and anxiety are both risk factors for thrombocytopenia. So, by reducing the stress in your life, you’re less vulnerable to a drop in your platelet count. To help manage your stress you could try taking up yoga, meditation or other soothing activities. The red peony is a popular Chinese herb which is often used in traditional medicine. It does, however, act as an anticoagulant. This means that although it can help to increase your platelet count in could also have a negative effect on the thickness or clotting ability of your blood. It’s always best to consult your doctor before taking red peony remedies. 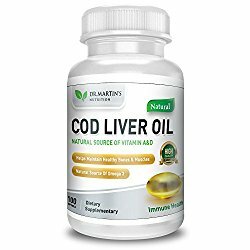 Daily consumption of cod liver oil helps to reduce the risk of your body confusing your platelets with dangerous or foreign cells. This is a hugely positive effect as if your body thinks your platelets are foreign cells it could start to attack them and cause your platelet count to drop. Not only that, but taking cod liver oil will also help to reduce inflammation and improve blood flow and circulation. Flaxseed oil works in a very similar way to cod liver oil, reducing inflammation, improving blood circulation and preventing your body from attacking its own platelets. Giloy is a herb which is well-known for its anti-inflammatory properties which can help to reduce inflammation and improve blood circulation. It also helps to strengthen your immune system and preserve your platelet levels which is hugely beneficial for people suffering from thrombocytopenia. 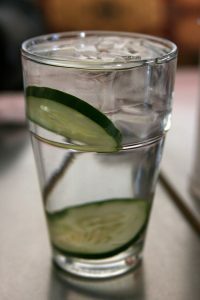 Water is often a great way to solve health conditions. Whilst drinking more water won’t help your body produce more platelets, it will help to preserve the cells that your body has already produces. This is because platelets exist in your blood plasma which is largely made up of water. Drinking around eight glasses of water each day should help you maintain a healthy platelet count. Drinking water helps with nearly every ailment. Which of these home remedies will you use to increase your blood platelet count and ease the symptoms of your thrombocytopenia? Comment below!